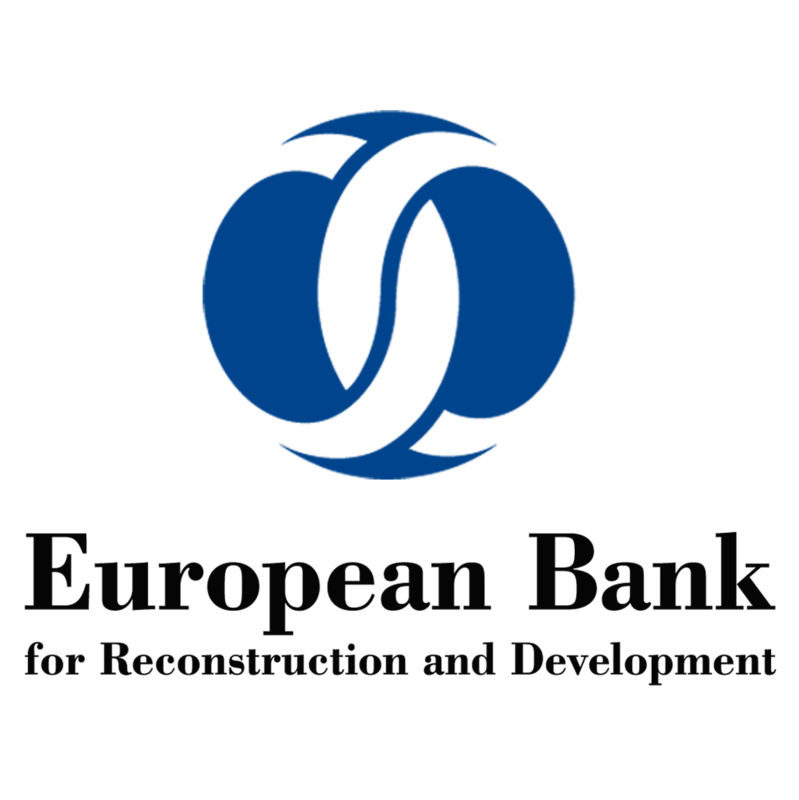 The European Bank for Reconstruction and Development (EBRD) was established in 1991 to assist the countries of Central and Eastern Europe and the CIS in establishing a market economy after the collapse of administrative-command system. Headquarters are located in London (United Kingdom). Members of the EBRD are 69 members (67 countries, the European Union and the European Investment Bank). In the early 1990s, the Bank had to repeatedly prove the correctness of its orientation towards the private sector as the main driving force of reforms in Central and Eastern Europe. It was during this period that the EBRD was established as an expert in issues of transition to an open market. The Bank actively participates in such activities as reforming banking systems, price liberalization, privatization (legalization and policy dialogue) and formation of an appropriate normative-legal framework for property rights, i.e. in all vital components of transformations. Uzbekistan has been a member of the European Bank for Reconstruction and Development (EBRD) since April 30, 1992. As a shareholder, the Republic owns EBRD shares in the amount of € 44.1 million. The EBRD office in Tashkent was opened in May 1993. Reference: at the end of July 2005 the Bank announced the suspension of financing projects, enterprises and programs in Uzbekistan related to the public sector, due to “the lack of progress in political life of the country, as well as violations of human rights”. The EBRD decision was made after the events in Andijan in May 2005 and on the day when Uzbekistan demanded to withdraw the American base “Karshi – Khanabad” from the country. In March 2017, a Memorandum of Understanding was signed between Uzbekistan and the EBRD, which serves as an intermediary framework document for implementation of projects in the country by raising funds from the Bank (the adoption of a new EBRD Strategy for Uzbekistan for the medium term is expected later). From November 2017 the EBRD office officially resumed its activities. Activities of the bank in the republic are coordinated by the head of the representative office Alkis Drakinos. Head of the EBRD from the Republic of Uzbekistan is Deputy Prime Minister of the Republic of Uzbekistan, Head of the Complex for Investment, Innovative Development, Coordination of Free Economic Zones, Tourism Activities S.R.Kholmuradov, Deputy Director, Chairman of the State Investment Committee of the Republic of Uzbekistan A.I.Akhmedkhadjayev. According to the Resolution of the President of the Republic of Uzbekistan RP No. 3439 “On measures of further improving the efficiency of cooperation with international and foreign financial institutions” of December 20, 2017, the functions of the Office of the Director in the EBRD are assigned to the State Investment Committee. The Bank launched the first project in Uzbekistan on November 23, 1993 (the first credit line for supporting small and medium-sized businesses in the amount of $ 60 million). The World Bank was founded in 1944. The headquarters is located in Washington (USA). The organization has more than 120 offices worldwide. The Bank’s system employs more than 10 thousand people. For reference: the World Bank Group – five organizations created at different times and united functionally, organizationally and territorially, the purpose of which is to provide financial and technical assistance to developing countries. The World Bank Group includes: International Bank for Reconstruction and Development – IBRD (1945), International Development Association – IDA (1960), International Finance Corporation – IFC (1956), Multilateral Investment Guarantee Agency – MIGA (1988), International Center for the Settlement of Investment Disputes – ICSID (1966). The first two organizations (IBRD and IDA) form the World Bank. The main purpose of the World Bank is to eradicate extreme poverty in the world, improve living standards and increase incomes of the population in each country. 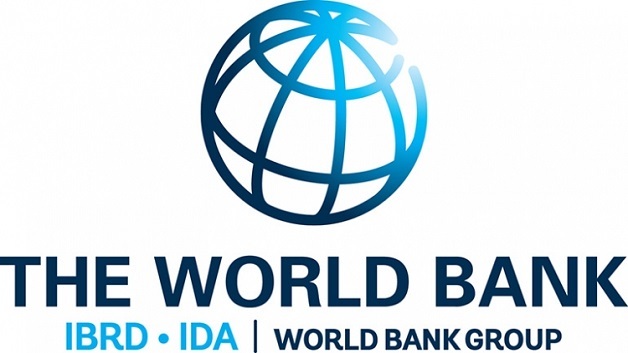 The main objectives of the World Bank are to provide developing countries with long-term concessional loans and grants, in such areas as education, healthcare, public administration, infrastructure, financial and private sector development, agriculture, environmental protection, natural resource management, etc. The highest governing body of the World Bank is the Board of Governors, in which each member country is represented by a manager and his deputy. The Board of Governors meets once a year at the IMF and World Bank Annual Meetings. The Republic of Uzbekistan joined the World Bank in September 1992 and is a member of the Swiss group of member countries. Since September 1992, a representative office of the Bank has been opened in Tashkent. — implementation of projects in the sphere of energy efficiency and power generation. The portfolio of bilateral cooperation with the World Bank includes 38 implemented and ongoing projects with a total amount of over 3.91 billion dollars. Including, implementation of 18 projects with loans for 0.95 billion dollars. (Appendix No.1), 20 projects with loans and grants amounting to 2.96 billion dollars are at the implementation stage. (Appendix No.2).Bilateral cooperation is characterized by a consistent increase in the scale of financial cooperation, having increased over the past six years by more than 4 times (the amount of WB loans at the beginning of 2012 amounted to $592 million). Currently, for implementation with participation of the World Bank, 8 projects are being worked out with a total amount of loans from the World Bank of more than $1.0 billion in these areas. The Islamic Development Bank Group, which includes the Islamic Development Bank, the Islamic Corporation for the Development of the Private Sector and other subsidiaries, was founded in 1974, in Jiddah. 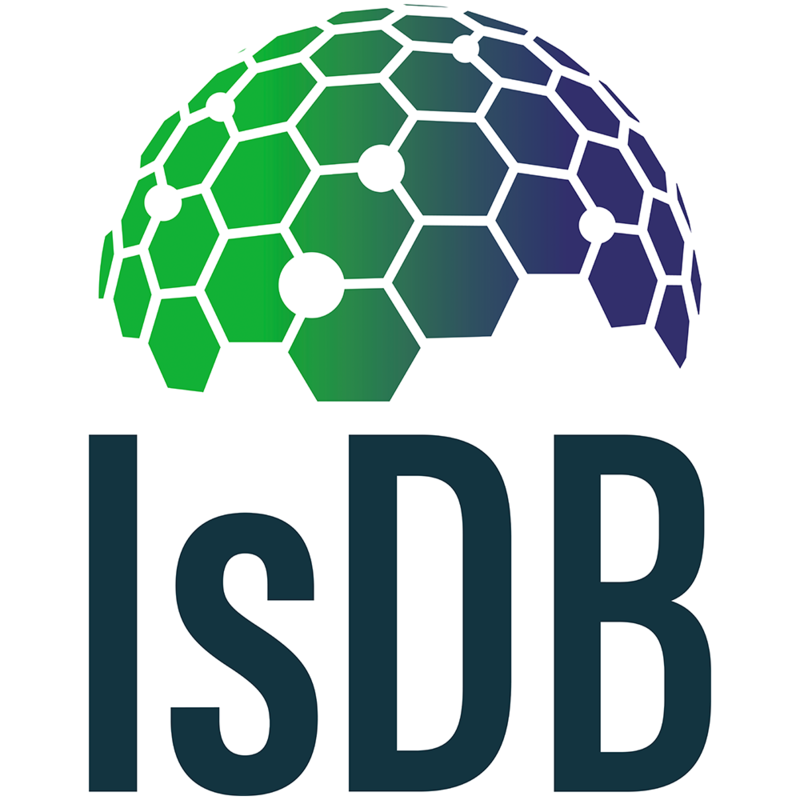 The IDB members are 57 countries of the world, of which the Kingdom of Saudi Arabia, the Islamic Republic of Iran, Libya, Qatar and Egypt together own a stake of more than 60%. The key focus of IDB is financing of large infrastructure and socially significant projects in strategic sectors of the economy. Currently, the number of shares in the Republic of Uzbekistan is 1344 (0.03%). The main activities – Long-term loans and provision of technical assistance for implementation of development projects, mainly in such areas as agriculture (irrigation and land reclamation), education, healthcare, water supply, infrastructure development, etc. 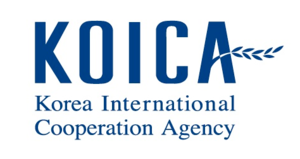 The Korea International Cooperation Agency (KOICA) was established in 1991. It is a state development institute of the Republic of Korea, specializing in promotion of programs and projects for free assistance to foreign countries. In its activities, the agency is accountable to the Ministry of Foreign Affairs of Korea. The headquarters of KOICA is located in the city of Sonnam (satellite city of Seoul). It has 48 overseas offices. The main focus of KOICA’s work is to promote socio-economic development of partner countries by providing grant and technical assistance for implementation of specific programs and projects in various sectors of the economy based on implementation of advanced experience and modern technologies of Korea. The total amount of gratuitous assistance provided to the Republic of Uzbekistan through KOICA in 1995-2018 amounted to 94.32 million dollars, which were directed to implementation of 29 projects in such spheres as healthcare, education, information technology, public utilities, agriculture and water management, energy, transport, etc. In addition, through the KOICA line, highly qualified specialists from foreign countries are trained on the basis of leading research and education institutions of Korea, as well as advisory support is provided, including by sending Korean volunteer experts to partner countries. During the state visit of the President of the Republic of Uzbekistan to the Republic of Korea in November 2017, a Memorandum of Understanding was signed between the Korea International Cooperation Agency of the Republic of Korea and the State Investment Committee of the Republic of Uzbekistan regarding the implementation of the cooperation program for 2018-2019 totaling 32.4 million dollars. The headquarters is located in Seoul. It has 13 local branches and 4 foreign, in countries such as the UK, Indonesia, Vietnam and Hong Kong, as well as representative offices in 21 countries. The main task of the Bank is to support Korean companies operating abroad through the provision of soft loans, commercial loans, loan guarantees, financing of export and import operations, etc. Financing conditions depend on specifics of operations and the type of projects. In general, loan terms usually range from 2 to 10 years with the interest rate LIBOR+margin. The Bank also provides advice and other services to identify new business opportunities abroad. The largest volume of total credit operations of the Bank is accounted for by export crediting. The rest of the loan portfolio consists of foreign investment operations. Project guarantees occupy the main share in the total structure of guarantees provided by the Bank. The following are financial guarantees. The Eximbank of Korea is entrusted with the administration of special government funds: the Economic Development Cooperation Fund (EDCF) and the Inter-Korean Cooperation Fund (IKCF). — provision of 6 credit lines to commercial banks of the republic for financing projects of small business and private entrepreneurship – $782.7 million, 4 projects are being implemented under the credit line of Eximbank of Korea with commercial banks of the republic for a total amount of $355.0 million to finance projects of small business and private entrepreneurship. — implementation of 5 socially significant projects was completed — $117.0 million. 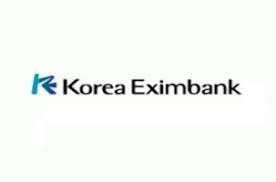 -4 projects are being implemented under the Eximbank of Korea credit line with commercial banks of the republic totaling $415.0 million to finance projects of small business and private entrepreneurship. — 5 socially significant infrastructure projects worth $365.2 million are being implemented, including projects on creating a modern children’s multi-field hospital of level IV, the National Geographic Information System, the National General Education Electronic Library, and the new international passenger terminal of Tashkent city airport (Terminal 4), as well as on further development of ICT. in school education (from 27 to 30 March 2018, a visit was paid by the preparatory mission of Eximbank of Korea to develop a medium-term action plan with the Economic Development Cooperation Fund (EDCF). Based on the results of the mission, the parties agreed to organize a mission to develop an EDCF medium-term action plan for Uzbekistan and a policy dialogue in the third quarter of this year. Currently, the relevant ministries and departments of the Republic of Uzbekistan are preparing project concepts for projects planned for implementation within the framework of the aforementioned Framework Agreement. 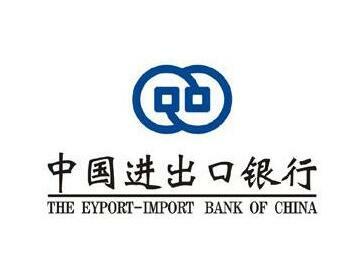 The Export-Import Bank of China/China Exim Bank) was founded in 1994 and belongs only to the central government of the PRC and is the main conductor of state banking policy under the direct supervision of the State Council of the PRC. Currently, the bank has 18 domestic branches and representative offices, as well as three foreign representative offices in Johannesburg, Paris and St. Petersburg. The bank has established and maintains correspondent relations with more than 500 foreign banks around the world. China’s Eximbank is an important part of the foreign trade, economy, and financial system of the PRC and is one of the key channels for financing the country’s exports and imports. China’s Eximbank plays an important role in promoting the development of an open and export-oriented economy of the country, being the main banking agent of the Chinese government for provision of foreign government loans, soft loans. The main task of the bank is to implement the state policy in the field of providing financial support for industry, foreign trade, diplomacy, economics and finance, in order to promote the export of Chinese mechanical and electronic products, high and new technologies. China recognized the independence of the Republic of Uzbekistan on December 27, 1991. Diplomatic relations are established on January 2, 1992. The Head of Uzbekistan paid official and state visits to the PRC in 1992, 1994, 1999, 2005, 2011, 2012, 2014 and 2017. In 2001 and 2006 visited the city of Shanghai and in 2012 the city of Beijing to attend meetings of the Council of Heads of States of the SCO member states, and in August 2008 – the city of Beijing to attend the opening of the 29th Summer Olympic Games. Bilateral meetings were also held within the framework of participation of two leaders in the course of international events (CICA Summit in Shanghai, May 20, 2014, SCO Summit in Ufa on July 10, 2015, solemn events on the occasion of the 70th anniversary of Victory in the World War II on September 2-3, 2015 in Beijing). In response, Uzbekistan was visited by the chairmen of the PRC, Jiang Zemin (1996), Hu Jintao (2004, 2010) and Xi Jinping (2013, 2016). Important events in development of inter-parliamentary contacts became the official visits in 2011 of the Chairman of the Senate of the Oliy Majlis of the Republic of Uzbekistan to China (July 20-26) and the Chairman of the Standing Committee of China’s National People’s Congress U Bango to Uzbekistan (September 20-23), following the results a Memorandum of Cooperation between the Senate of the OM RU and the NPC Standing Committee was signed. A number of visits to China were also paid at the level of deputy leaders of the Oliy Majlis of the Republic of Uzbekistan, chairmen of parliamentary committees and deputies (2007, 2010, 2012). Vice Chairman of the NPC Standing Committee He Luli (2007) and Chen Zhili (2012), Vice Chairman of the National Committee of the CPPCC Wang Zhenwei and Deputy Head of the External Relations Department of the CPC Central Committee Zhou Li (2014), Head of the External Relations Department of the Central Committee of the CPC Song Tao (2016). On May 5, 2017 by a joint decision of the Senate and the Legislative Chamber of the OM RU, an Inter-Parliamentary Group for Cooperation with the National Assembly of People’s Representatives led by the First Deputy Chairman of the Senate S.Safayev was created. On May 17-20, 2017, a delegation led by Secretary General and Vice Chairman of the NPC Wang Cheng visited Uzbekistan. Meetings were held with the Head of the Republic, the leadership of the Senate and the LC of the Oliy Majlis of the Republic of Uzbekistan. On November 5-7, 2017 the delegation led by the Assistant Head of the Office of International Relations of the CPC Central Committee, Shen Bailey, visited the republic to inform the political and public circles of the Republic of Uzbekistan on the results of the 19th Congress of the Chinese Communist Party. Meetings were held with the leadership of the LC of the Oliy Majlis of the Republic of Uzbekistan, the National Center for Human Rights, the Ministry of Foreign Affairs. On November 29 – December 8, 2017 the parliamentary delegation of the Republic of Uzbekistan led by the Deputy Speaker of the Legislative Chamber of the Oliy Majlis of the Republic of Uzbekistan Kh.Ketmonov visited the People’s Republic of China to participate in the High Level Dialogue between the Communist Party of the People’s Republic of China and political parties of foreign countries in the period from November 30 to December 9 of this year. Within the framework of participation in the event on November 30, 2017 the delegation of the Republic of Uzbekistan met with the head of the Foreign Relations Department of the CPC Central Committee Song Tao and took part in the 2nd Forum of Chinese and Central Asian political parties. The exchange of visits at the level of government delegations is expanding. In 2007-2016 Premier Wen Jiabao and Li Keqiang, Deputy Premier Hui Liangyu, public security ministers Meng Jiangzhu and Guo Shengkun, foreign affairs Yang Jie and Wang Yi, commerce Gao Hucheng, finance Xue Xiuzhen, defense Liang Guanle, visited Uzbekistan. Within the framework of expansion of bilateral cooperation on July 18-19, 2017 Deputy Prime Minister J.Kuchkarov visited the People’s Republic of China with organizing negotiations with the Secretary of Central Political and Legal Affairs Commission Meng Jianzhu, the leadership of the Ministry of Commerce, Eximbank, the CBRD, the Silk Road Fund, the Industrial and Commercial Bank. Following the visit, agreements were reached on implementation of various investment projects in the Republic of Uzbekistan. On August 2, 2017 first deputy Prime Minister A.Ramatov took part in the Fifth Forum of the PRC-Central Asia on “Creating a Silk Road Cooperation Bridge, A Joint Pursuit of Peace, Development and Prosperity” in Lianyungang (Jiangsu Province). To participate in the next meeting of Uzbekistan – China Intergovernmental Committee on Cooperation (ICC) on September 9-10, 2017 visited a member of the Politburo of the CPC Central Committee, Secretary of the Political-Legal Commission of the CPC Central Committee Meng Jianzhu. During the visit, a meeting was held with the leadership of the Republic of Uzbekistan and negotiations with Prime Minister A.N.Aripov, a business forum was organized with participation of leaders of 500 leading companies of the two countries. On September 11-16, 2017 Deputy Prime Minister of the Republic of Uzbekistan Z.Mirzayev, visiting China, held bilateral negotiations with the leadership of the Ministry of Agriculture and the State quarantine of China. Following the results, interdepartmental protocols were signed, allowing the export of fresh sweet cherry, mash and animal feed from the Republic of Uzbekistan to the PRC. Within the framework of interaction between the Ministry of Foreign Affairs in 2004-2017, 15 rounds of political consultations were held at the level of deputy foreign ministers on issues of bilateral cooperation and within the framework of the SCO. The Saudi Fund for Development (SFD) was established in 1974, the main activity started in 1975. At the time of creation, the fund’s assets amounted to 10 billion Saudi riyals, currently this figure has increased to 31 billion Saudi riyals or in eq. 8.27 billion USD. The Foundation is a public institution and is financially and administratively independent. The headquarters of the Foundation is located in Riyadh. It is governed by a Board of Directors, led by the Minister of Finance of the Kingdom of Saudi Arabia (KSA). Members of the Council include representatives of the Ministry of Foreign Affairs of KSA, the Department of Investments of the Monetary Agency of KSA and the State Corporation for Processing of Petrochemical Products “SABIK”. In accordance with the Charter, the main objectives of the Fund are to participate in financing of development projects in developing countries through the provision of long-term concessional loans and promotion of national export of non-crude oil through financing and insurance of export operations. The main areas of loans are transport infrastructure and communications, agriculture, energy, healthcare, education, utilities, urban infrastructure, industry and mining, etc. Cooperation between the Republic of Uzbekistan and the Saudi Fund for Development (SFD) was established during a meeting of members of the Arab Coordination Group in July 2007, in the city of Tashkent. The Memorandum of Understanding signed at the end of the meeting became the basis for further development of cooperation with SFD. Within the framework of cooperation with SFD, the project “Construction and equipping general education schools” was implemented (the amount of funding for the SFD is 16 million dollars, the OPEC fund is 5 million dollars). The loan agreement between the Republic of Uzbekistan and the SFD on financing this project was signed on November 28, 2008. On June 3-5, 2009 during the visit to Uzbekistan of the Minister of Finance of the Kingdom of Saudi Arabia, Chairman of the Board of the Saudi Fund I. Al-Assaf, a loan agreement was signed to finance the project “Reconstruction of Alat pumping station in Bukhara region” in the amount of $12 million. In order to systematize and expand cooperation by increasing the number of joint projects, as well as increase their funding, the Uzbek side has prepared a list of 9 promising project proposals in the amount of 511 million dollars. This list contains proposals in such areas as healthcare, agriculture, utilities, small and private business, on 26.05.2009 was sent to the SFD for consideration through diplomatic channels. On March 1-2, 2010, a meeting of the Arab Coordination Group (ACG) was held in Tashkent to consider the participation of ACG in financing the project “Development of Uzbek National Highway”. Following the meeting of the SFD, along with other members of the ACG, he expressed his readiness to consider the issue of financing a project for construction and reconstruction of Samarkand – Guzar road section of Uzbekistan National Highway. On June 27-30, 2011, within the framework of participation of the delegation of the Republic of Uzbekistan led by Deputy Prime Minister E.Ganiyev in the work of the 36th Annual Meeting of the Board of Governors of the IDB, a loan agreement was signed with the SFD. – on projects “Introduction of alternative energy sources in 632 schools in remote and inaccessible rural areas” and “Improvement of drinking water supply in rural areas of Kushrabad district of Samarkand region” in September 2013. The assessment mission of the SFD visited Uzbekistan to agree on technical and financial parameters of projects, following the results of which the Board of Directors of the SFD in late December 2013 approved the financing of projects in the total amount of 29.5 million dollars (10.9 million dollars – for the project in the sphere of education and 18.6 million dollars – for the project in the field of drinking water supply). The loan agreement on financing the project “Improving drinking water supply in rural areas of Kushrabad district of Samarkand region” was signed as part of participation of the delegation of the Republic of Uzbekistan at the 39th Annual Meeting of the Board of Governors of the Islamic Development Bank on June 23-28, in Jiddah. Within the framework of the roundttable with participation of ACG, on October 27, 2014, 25 priority projects in Uzbekistan were presented to Arab funds in Tashkent. The delegation of the SFD expressed interest in co-financing the Rural Housing Program. Loan agreement for the project “Housing construction in rural areas of the Republic of Karakalpakstan” in the amount of 30 million dollars, signed on May 12, 2016 in Tashkent during the visit of Deputy Chairman of the Fund, Managing Director Youssef Al-Bassem. In January 2017, the Board of Directors of the SFD approved a loan at the amount of $26.3 million to the Republic of Uzbekistan for co-financing the project “Reconstruction of water supply system of the district centers of Kasan, Mubarek and rural settlements adjacent to the water conduit from Kitab – Shakhrisabz groundwater field”. The loan agreement for this project was signed at the 42nd Annual Meeting of the Board of Governors of the Islamic Development Bank on May 18, 2017, in Jiddah. In June 2017, the Board of Directors of the SFD approved a loan to the Republic of Uzbekistan in the amount of 162 million Saudi riyals (43.1 million dollars) to co-finance the project “Overhaul and Repair of Karshi Cascade of Pumping Stations (Phase III)”. As well as, in December 2017, the Board of Directors of the SFD approved a loan of 50.0 million dollars to the Republic of Uzbekistan for co-financing the project “Modern housing construction in rural areas in Navoi, Fergana and Tashkent regions”. During the visit of the Uzbek delegation led by First Deputy Minister of Finance A.Khaidarov in Riyadh from January 30 to February 2, 2018, a loan agreement was signed with SFD on this project. During the visit of Uzbekistan delegation to Tunis to participate in the work of the 43rd Annual Meeting of the Board of Governors of the IDB in the period of April 3-5, 2018, a meeting was held with the Vice-Chairman of the SFD Y.Al-Bassem. During the meeting, a financial agreement was signed to finance the project “Overhaul of Karshi cascade of pumping stations. Phase III” in the amount of $43.1 million, and an agreement was reached to increase the amount of funds allocated to finance projects in the public and private sectors of Uzbekistan, the list of which will be submitted by the Uzbek side to the SFD. The OPEC Fund for International Development is an international financial institution established in 1976 by member countries of the Organization of the Petroleum Exporting Countries (OPEC). For reference: The Organization of the Petroleum Exporting Countries (OPEC) is an intergovernmental organization uniting 12 oil producing countries: Algeria, Angola, Ecuador, Iran, Iraq, Kuwait, Libya, Nigeria, Qatar, Saudi Arabia, the United Arab Emirates, Venezuela. The decision to create OPEC was taken during the Baghdad Conference in 1960. The OPEC Charter was approved in Caracas (Venezuela) in 1961. The Director General of the OPEC Fund is Suleiman J Al-Herbish.The headquarters of the Fund is located in Vienna (Austria). The purpose of the Fund is to strengthen financial cooperation between OPEC member countries and other developing countries by providing financial support for their socio-economic development. The Fund can be used by international financial institutions that assist developing countries and all non-OPEC developing countries. Cooperation with the OPEC Fund dates back to 2000, when the Agreement on Promotion and Protection of Investments was signed between the Republic of Uzbekistan and the OPEC Fund. In accordance with this Agreement, a credit line in the amount of $5 million was opened for the National Bank to finance small and private business projects. — “Construction and equipping new buildings of secondary schools” in the amount of $5 million. (2009-2011). On July 3-5, 2007, Tashkent hosted a meeting of members of the Arab Coordination Group (ACG), the members of which is the OPEC Fund for International Development. Following the ACG meeting, the OPEC Fund for International Development expressed its willingness to consider participation in financing 6 projects for a total amount of $131.2 million in such areas as education, agriculture, irrigation and land reclamation, production of building materials and phosphate fertilizers. — “Rehabilitation of “Kuyi-Mazar” pumping station in Bukhara region” (12 million dollars). In addition, during 2009, jointly with the Fund, the issue of financing the project “Development of secondary special vocational education in the sectors of transport and agriculture” was carried out in the amount of 16.6 million dollars, which was reviewed by the Economic and Social Research Foundation on June 22, 2009. However, the elaboration of the project has not received further development. However, in the period of 2003-2007, the OPEC Fund allocated in the total amount of $9.2 million, to such companies as Bursel Tashkent Textiles LLC ($5.9 million) and Arktek Technology LLC ($3.3 million). On November 6-7, 2012 a roundtable was held in Tashkent with participation of members of the ACG, under which Arab funds were offered 16 projects worth 487.8 million dollars for consideration. From the number of these projects, the OPEC Fund selected 4 projects in the amount of $145.7 million. In March 2014, the OPEC Fund informed that in order to finance investment projects in Uzbekistan for the period of 2014-2016, the fund has reserved funds in the amount of 39 million dollars, including for co-financing with the Saudi fund for the development of the project “Improving drinking water supply of the rural population of Koshrabad district of Samarkand region” in the amount of 11 million dollars. Reference: Terms of financing of the OPEC Fund: the loan amount is 11 million dollars, the loan term is 20 years, including a 5-year grace period at the rate of 2.25% per annum, the maintenance fee is 1% per annum. -project “Reconstruction of the water supply system of the district centers of Kasan, Mubarek and rural settlements adjacent to the conduit from Kitab – Shakhrizabz groundwater field” (38 million dollars). In 2013, the abstracts of projects “Improvement of drinking water supply in Zarkent, Khodjikent, Iskovot, Bulokboshi, Buston, Yoshlik villages and Namangan city of Namangan region” and “Reconstruction of water supply system of Kasan, Mubarek district centers and rural settlements adjacent to Kitab – Shakhrisabz water supply network groundwater deposits” were sent to OPEC Fund in the prescribed manner. The OPEC Fund, after reviewing the annotations of the above projects, requested to submit a pre-feasibility study and feasibility study project. Pre-feasibility study of the above projects was transferred to the delegation of the OPEC Fund within the framework of the next meeting of the Arab Coordination Group on October 27, 2014. Based on the review of the pre-feasibility study of the above projects, as well as the existence of a signed loan agreement between the Republic of Uzbekistan and the Saudi Development Fund for the project of Improving the drinking water supply of the rural population of Koshrabad district of Samarkand region (co-financing from the Saudi Development Fund), the OPEC Fund started the implementation of this project on April 20-27, 2015, sent an assessment mission to Uzbekistan. The loan agreement on the above project was signed on February 22, 2016 at the headquarters of the OPEC Fund in Vienna. At present, the portfolio of financial resources approved by the OPEC Fund for Uzbekistan amounts to $50.7 million. With the support of the OPEC Fund, a number of significant projects in such areas as irrigation and melioration, water supply and public utilities continue in the country. For reference: Currently, within the framework of financial cooperation, the implementation of 5 projects in the amount of 39.7 million dollars has been completed, 1 project for 11.0 million dollars is being implemented, 3 projects for 58.3 million dollars are being worked out. Turkish Cooperation and Coordination Agency under the Office of the Prime Minister of the Republic of Turkey (TIKA) was founded in 1992, after the collapse of the Soviet Union and the East European Socialist Block, with the aim of providing technical assistance to developing countries and developing relations with them in the sphere of economy, trade, technology, culture, education and social development through projects, and TIKA programs. TIKA projects include such Eurasian countries in Central Asia as Kyrgyzstan, Kazakhstan, Uzbekistan, Turkmenistan, Tajikistan, and Mongolia; in the Caucasus: Azerbaijan and Georgia; Countries of the Black Sea: Russia, Ukraine and Moldova; The Balkans: Romania, Bulgaria, Macedonia, Albania, Bosnia-Herzegovina and Kosovo; Mediterranean countries: Republic of Turkey, Northern Cyprus. In the above-mentioned countries, TIKA operates through the coordination offices, and in those countries where there are no coordination offices, through the Embassy of the Republic of Turkey. At present, 23 TIKA coordination offices operate in 20 countries of the world. The TIKA Coordination Offices in these countries are headed by Program Coordinators from Turkey. The TIKA office has local staff, as well as experts on ongoing projects. On October 25-29, TIKA President S.Cam visited Uzbekistan to get acquainted with technical assistance projects in the Aral Sea region and in collaboration with this organization to participate in an international conference on the Aral problem. On February 23-28, TIKA Vice President A.Maskan visited Uzbekistan to evaluate projects implemented in Uzbekistan and to develop new programs in cooperation with relevant ministries and departments. On April 7-10, S.Cam visited Uzbekistan with an official visit to participate in ceremonies for completion of a number of projects implemented by TIKA Tashkent office. On May 24-29, TIKA Vice President M. Suriya Er visited Uzbekistan to hold negotiation at relevant ministries and departments to develop and systematize a three-year program of country projects. In accordance with the decision of the State Council of the People’s Republic of China of December 11, 2008, the China Development Bank was transformed into the State Development Corporation of China. At the same time, the State Development Corporation of China has all the assets and liabilities of the CDB in its possession. Within the framework of expansion of bilateral cooperation on July 18-19, 2017, Deputy Prime Minister J.Kuchkarov visited the People’s Republic of China with organizing negotiations with the co-chairman of the CC Meng Jianzhu, the leadership of the Ministry of Commerce, Eximbank, the CDB, the Silk Road Fund, the Industrial and Commercial Bank. Following the visit, agreements were reached on implementation of various investment projects in the Republic of Uzbekistan. To date, the total portfolio of loans extended to the Republic of Uzbekistan through the Eximbank of China and China Development Bank (CDB) amounts to more than $6.5 billion, including $4.0 billion without a government guarantee. The Kuwait Fund for Arab Economic Development (KFAED) was founded on December 31, 1961, six months after Kuwait’s independence. The KFAED is the first aid agency that was created by a developing country. The amount of the authorized capital of the Fund is 2 billion Kuwaiti dinars (equivalent to 0.6 billion dollars). The Fund is state owned and has an independent legal status. It is headed by a Board of Directors, whose members are appointed by the head of the Board, the Prime Minister of the State of Kuwait. By decision of the Prime Minister, the powers of the Chairman of the Board of Directors are currently exercised by the First Deputy Prime Minister, Foreign Minister Sabah Khaled Al-Hamad Al-Sabah. The Fund is engaged in providing and monitoring financial and technical assistance to developing countries.According to its purpose, the Fund is an agent of the Government of Kuwait on providing technical and financial assistance to developing countries. – provision of grants through the provision of technical assistance. Since 1981, the KFAED has the mandate to contribute to the authorized capital of international and regional financial institutions and the authority to represent the State of Kuwait in these organizations. The main areas of assistance are agriculture and irrigation, transport and communications, energy, industry, water supply, healthcare, etc. In accordance with the original charter, the activities of the Fund were directed only to Arab countries. 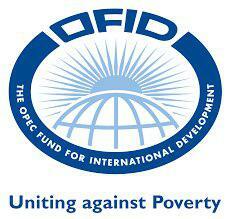 In July 1974, the framework of the Fund’s activities has spread to other developing countries of the world. Since 1975, the KFAED operates within the framework of the Arab Coordination Group (ACG). The terms of loans are of a preferential nature: low interest (average 3.2%), long repayment period (average 22 years), availability of a grace period (determined based on the nature of the project funded). Cooperation with the Kuwait Fund for Arab Economic Development (KFAED) dates back to 1997, when an agreement was signed to finance the project “Improving the water supply of the cities of Nukus and Urgench” (equivalent of $ 20 million). On January 19, 2004 in El Kuwait, a Memorandum of Cooperation was signed between the Government of the Republic of Uzbekistan and the Kuwait Fund for Arab Economic Development, which included a list of priority projects for further cooperation with the KFAED. In accordance with the Memorandum, it was envisaged to allocate 215 million dollars to finance 9 projects in Uzbekistan in the field of water supply, energy supply and improvement of land reclamation state. Within the framework of the Memorandum today, jointly with the KFAED, the following projects have been implemented: “Electrification of Tashkent (Tukimachi) – Angren railway section” (eq. 20.1 million dollars), “Equipping 171 emergency medical departments of central district and city hospitals with medical equipment” (eq. 20.5 million dollars) and “Equipment of the republican specialized center for cardiac surgery with high-tech medical equipment” (eq. 12.9 million dollars). Also, KFAED made a decision to allocate technical assistance for development of a feasibility study for the project “Restoration of the irrigation network and drainage system of Jizzakh and Syrdarya regions” (equivalent to $1 million) and for the institutional development of the Fund for Reconstruction and Development of Uzbekistan (equivalent to 170 thousand dollars). On July 21, 2008 during the visit of the Emir of Kuwait to Uzbekistan, a new Memorandum of Cooperation was signed between the Government of the Republic of Uzbekistan and the KFAED, which includes a list of 10 promising projects worth $ 375.2 million. On June 14, 2009 the KFAED Board of Directors approved the financing of the project “Restoration of the irrigation network and drainage system in Jizzakh and Syrdarya regions” in the amount of 4.34 million Kuwaiti dinars (equivalent of 15.6 million dollars).For this project within the framework of the visit on October 21-23, 2009, the Deputy General Director of the KFAED, H. Al-Wakayan, signed a loan agreement between the Republic of Uzbekistan and the KFAED. Following the results of participation of the KFAED mission in presentation on March 1-2, 2010, in the city of Tashkent the project “Development of Uzbekistan National Highway” a meeting protocol was signed, expressing the readiness of the Kuwaiti side to consider the issue of co-financing the project for construction and reconstruction of the road section Guzar – Chim – Kukdala (73 km) in the amount of 21 million dollars. On March 20, 2011, the KFAED Board of Directors decided to allocate 6 million Kuwaiti dinars (eq. 21 million dollars) to finance the project, the corresponding loan agreement for the project was signed on March 29, 2011 in the city of Tashkent. According to the results held on November 6-7, 2012 in Tashkent, the roundtable with participation of the Arab Coordination Group (ACG) worked out the implementation of the project “Equipping clinics of medical universities and republican multi-field hospitals with modern medical equipment” with participation of the KFAED. The loan agreement on financing the project was signed on March 19, 2015 within the framework of the visit to Uzbekistan of the Deputy General Director of the Fund Hisham Al-Wakayan. As well as, KFAED took part in the work of the ACG “Roundtable” on October 27, 2014 in Tashkent, during which a number of promising investment projects were presented. Following the event, the KFAED expressed interest in financing the project “Equipping with modern diagnostic units and diagnostic equipment of urology departments of the Republic of Uzbekistan” in the amount of 23.0 million dollars. The loan agreement for the project “Equipment with modern diagnostic and therapeutic equipment of urological departments of the Republic of Uzbekistan” was signed on March 15, 2016 in the city of Tashkent during the visit of KFAED delegation led by the Deputy General Director Hamad al-Omar. In general, to date, with participation of KFAED in the Republic of Uzbekistan, 7 projects worth 90.36 million dollars have been completed, 3 projects are being implemented for a total amount of 68.2 million dollars and a fundraising loan of 103.6 million dollars is being worked out to finance the project “Housing development in rural areas with necessary engineering and communications infrastructure, road and transport infrastructure with KFAED participation” (60 million dollars) and two health projects for a total amount of loans of 48.2 million dollars. (“Equipping Level 3 Perinatal Care” and “Equipping High-Tech Medical Equipment of Neurosurgical Service of the Republic of Uzbekistan”). The Board of Directors of the Fund on February 9 of this year approved co-financing of the project “Development of engineering infrastructure in rural areas for construction of individual housing on standard projects”.In the period of April 8-19 of this year, the KFAED expert mission was organized in Uzbekistan to evaluate this project, during which the draft loan agreement for the project was initialed.The draft loan agreement was agreed with interested ministries and agencies of the Republic of Uzbekistan on 14.07.2017, the draft loan agreement with the KFAED was initialed by the Ministry of Finance and sent to the Kuwaiti side. During the visit of the delegation of the Kuwait Fund for Arab Economic Development (KFAED) led by Deputy General Director H.Al-Wakayan from January 28-31, 2018, a loan agreement was signed to finance the project “Development of engineering infrastructure in rural areas for construction of individual housing for typical projects” (30 million USD). GIZ was created on January 1, 2011 through the merger of three German international development organizations: Deutscher Entwicklungsdienst (DED), Deutsche Gesellschaft für Technische Zusammenarbeit (GTZ) and Internationale Weiterbildung und Entwicklung (InWEnt). GIZ is one of the world’s largest development agencies with a business volume of over 2.4 billion Euros in 2016, as well as 19,506 employees in more than 120 countries. In addition, in cooperation with the German Federal Employment Agency, GIZ operates the Center for International Migration and Development (CIM), which specializes in international cooperation activities related to global labor mobility. The German Society for International Cooperation (GIZ) GmbH implements projects in Uzbekistan commissioned by the Federal Ministry for Economic Cooperation and Development (BMZ), as well as other federal ministries and departments, such as the Ministry of Foreign Affairs and the Ministry of Internal Affairs. GIZ has been operating in Uzbekistan since 1992, with headquarters in Tashkent and branches in Andijan, Surkhandarya, and Karakalpak regions. The main point of cooperation with GIZ is the promotion of sustainable economic development and the healthcare sector through free technical cooperation. At the moment, the number of current projects is 9, 4 of them are regional projects. The total amount of projects between Uzbekistan and GIZ reaches more than 31.5 million euros, and the sum of regional projects is about 31.1 million euros. The Executive Director representing Uzbekistan in the Board of Directors of ADB – Yingchang Song (from August 2017) – from the Republic of Korea. Countries belonging to the same group of countries with Uzbekistan – Vanuatu, Vietnam, Papua New Guinea, Republic of Korea, Taipei (China), Sri Lanka. The list of the main normative-legal acts regulating the cooperation of Uzbekistan with the ADB – Resolution of the Oliy Majlis of the Republic of Uzbekistan of August 31, 1995. No. 124-I, Resolution of the Cabinet of Ministers of the Republic of Uzbekistan of January 16, 1998. No. 27 “On approval of the Agreement on opening of Permanent Mission of the Asian Development Bank in Uzbekistan”. Number of shares/votes of the Republic of Uzbekistan of the total number – Number of shares – 71,502 (0.676%), Voting rights – 0.84%. 42 projects have been completed (total cost 4.1 billion dollars, including ADB loans – 2.8 billion dollars), 22 projects at the implementation stage (total value 10.7 billion dollars, including ADB loans – 3.9 billion dollars. ), of which 3 joint projects are implemented in the private sector with a total value of 4.98 billion dollars with a share of co-financing of ADB in the amount of 0.7 billion dollars. 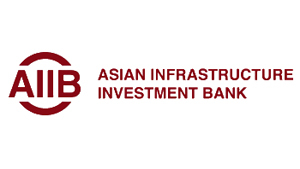 The Asian Infrastructure Investment Bank (ABII) is an international financial institution established to support the implementation of infrastructure projects in the Asian region.The initiative to create a bank belongs to the authorities of the People’s Republic of China. AIIB was officially established on December 25, 2015. As of 21.03.2018, the AIIB has 42 regional and 22 non-regional members. The bank’s subscribed capital is $100 billion, equivalent to 2-3 times the capital of the Asian Development Bank and almost half of the World Bank. Bank assets amount to $17.8 billion. The headquarters of the bank is located in Beijing (China). ABII is a “joint-stock company” in which votes are distributed among the participating countries depending on their share in the capital of the bank. The largest shareholders are China – 32%; India – 8.9%; Russia – 7%; Germany – 4.8%; South Korea – 4%; Australia – 3.9%; France – 3.6%; United Kingdom – 3.2%. According to the financial report of the AIIB in 2017, the Bank approved financing of 15 investment projects in the amount of 2.38 billion USD. Project geography: Indonesia, Philippines, Tajikistan, Bangladesh, Oman, Georgia and India. The projects are mainly financed in the field of energy, construction of transport infrastructure and urban development, water supply and telecommunications. A distinctive feature of the AIIB in the early years of its activity is its active cooperation with other financial institutions – the World Bank, the Asian Development Bank, the European Bank for Reconstruction and Development, etc. In accordance with the order of the Cabinet of Ministers of June 23, 2015 No.02/1-3387, on June 29, 2015, Articles of Agreement of the Asian Infrastructure Investment Bank (hereinafter referred to as the Agreement) were signed on behalf of the Government of the Republic of Uzbekistan, 64 countries became participants of the Asian Infrastructure Investment Bank (hereinafter – ABII). According to the quota established by the Agreement, Uzbekistan distributed 2,198 shares with a nominal value of $100.0 thousand each, of which 20% are paid shares and 80% are shares paid on demand. Thus, the share of Uzbekistan in the share capital of the AIIB is $219.8 million. Under the terms of the Agreement, paid shares are redeemed in 5 equal installments over 4 years. For Uzbekistan paid in foreign currency part of the quota is $44.0 million, and the amount of each payment is $8.8 million. On November 15, 2016 Resolution No. RP 2657 of the President of the Republic of Uzbekistan “On Membership of the Republic of Uzbekistan in the Asian Infrastructure Investment Bank” was adopted, in accordance with which today the Republic of Uzbekistan has paid membership fees in accordance with the approved schedule in the amount of $17.6 million. 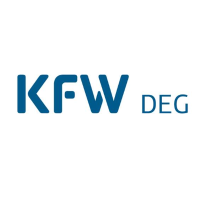 KFW Development Bank is a member of the KfW Bankengruppe financial group responsible for Financial cooperation with partner countries, while the German Investment and Development Society (DEG) provides support to private enterprises. On behalf of the Federal Government, KfW Development Bank finances investments and related advisory services and advanced training activities in developing countries and countries with economies in transition in order to support the sustainable development of the economy, social infrastructure and environmental protection measures. Sustainable development of the economy – KfW Development Bank has focused its efforts on development and expansion of the financial sector of Uzbekistan. In addition to this, KfW Development Bank is supporting the development of vocational education in the field of construction professions. In close cooperation with the German Society for International Cooperation (GIZ), KfW develops a focus on training for the labor market and thereby contributes to improving the chances of graduates for employment.